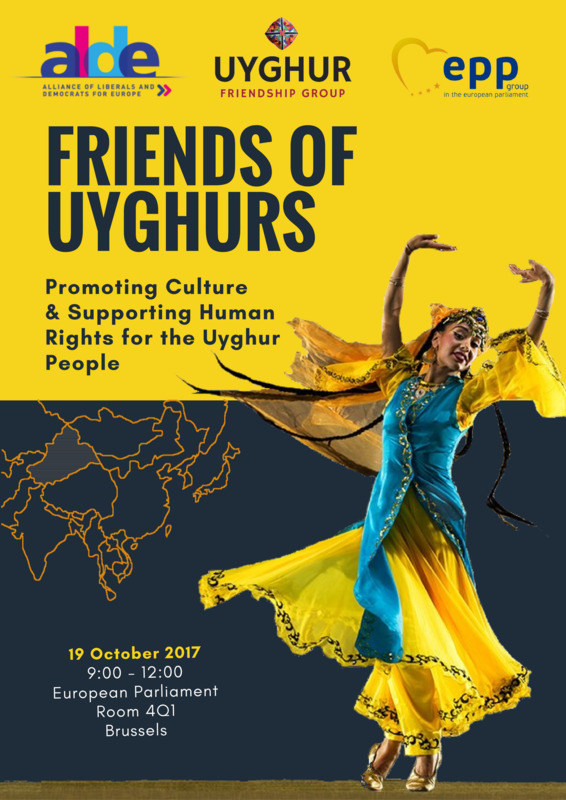 On 19 October 2017, the newly-formed Uyghur Friendship Group, in collaboration with MEPs Ilhan Kyuchyuk and Csaba Sógor will host an event to stimulate the sharing of ideas between MEPs, representatives of NGOs, scholars and members of the Uyghur community. This will start with a conference, immediately followed by an opening ceremony and a cultural event with the aim to internationally raise the profile of the Uyghur heritage. As the European Parliament has been for a long time involved in supporting the respect of the human rights of the Uyghur people, the Uyghurs Friendship Group will serve as an informal network of MEPs who gather regularly to address the Uyghur community’s harsh human rights situation, as well as its rich culture and direct its focus towards the European political agenda, in accordance with the European Parliament’s strategy in respect of minorities rights. Renowned scholars and experts will speak out on behalf of the Uyghur community against the marginalisation they suffer and advocate for a better harmonization of the international law and their living conditions. This will touch upon the Uyghur language ban and problems concerning freedom of religion. The conference will also raise awareness of the lack of news on the conditions of the 2016 Sakharov Prize nominee, Professor Ilham Tohti. For further information, please contact Lucia Parrucci l.parrucci@unpo.org.